From timeless elegance to a streamlined, modern look, we have the bathroom accessories you need to make your bath a showpiece. Providing exclusive Luxury Bath fixture and hardware – professionally installed in your north Texas or southwest Oklahoma home. There are many choices to make when remodeling your bathroom, and Luxury Bath Texoma’s extensive collection of bathroom hardware and fixtures are the perfect way to give any space a beautiful finishing touch! 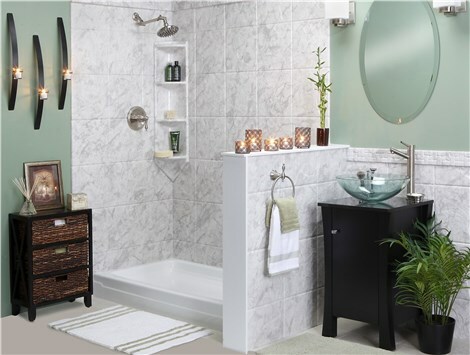 Luxury Bath Texoma offers the highest quality bath accessories and products for any bathroom remodel. 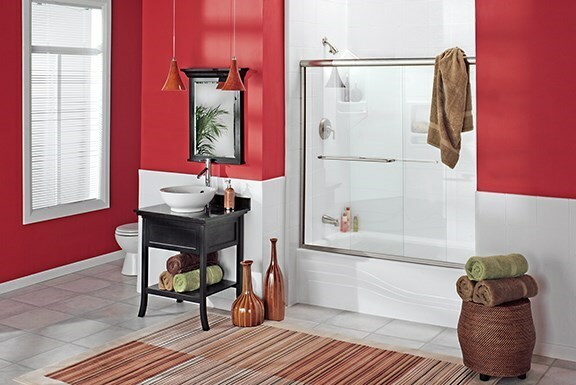 From our exclusive Microban infused showers and tubs to various bathroom fixtures for everyday convenience and accessibility, we are the first choice for all of your bathroom remodeling needs! Replacement Showers – Replace your shower with one of our space-saving neo-angle designs or barrier-free options for the ultimate in style and functionality! Replacement Bathtubs – Relax after a long day at the office with a brand new SimplyPure bathtub that is designed to keep your water warm four times longer than a traditional tub! Give yourself peace of mind and a sense of security by choosing one of the designer options of safety bars from Luxury Bath Texoma! Our ADA compliant bars are securely anchored to support 560 pounds and come in three different color options to match the aesthetics of your bath space. Tired of seeing dirty towels on the floor or slipping off standard wall hooks? Then Luxury Bath Texoma has a bath hardware solution for you! Choose from one of our many exclusive colors for a towel bar that perfectly matches the look of your bathroom! There’s no doubt that taking a hot shower is a relaxing, rejuvenating experience. With Luxury Bath Texoma’s shower accessories we can turn your standard shower into the ultimate spa experience! Rain Showerheads – Enjoy the benefits of hydrotherapy with one of our exclusive rain showerheads that come in three different finishes. This 8” swivel shower head has 160 clog-free rubber nozzles for soothing luxury that can’t be beat! Liquid Accents Blu Tunes Showerhead/Speaker – Who doesn’t love belting out their favorite tune during a morning shower? Now you can be the star of the shower with our exclusive Blue Tunes Speaker that turns your home spa into a concert hall! A cluttered bathroom can be a recipe for a cleaning nightmare. Take the stress out of your bathroom space by having Luxury Bath Texoma integrating one of our innovative soap dishes and caddies right into your new bath feature! Our beautiful soap dishes and caddies are the perfect bathroom accessories, and can be designed as single, double, or triple shelf units – or even a full-scale tower caddie for the ultimate in storage and function! For over 25 years, Luxury Bath Texoma has led the industry with our commitment to quality and excellence. To best serve our customers, we offer free in-home design consultations to help you choose from the largest selection of innovative bath products on the market. When installation day comes along, our expert installers can complete your bathroom update in just two days! See Why Luxury Bath for more information on the exclusive benefits that we offer our valued customers!